Many of us may strive to live a more Christ-like life, but how many strive to eat a Christ-like diet? With deep fried twinkies and sugary sodas, sometimes it can be hard to eat healthy, let alone eat “biblically.” Food For Life’s Ezekial 4:9 Sprouted Flax bread is something the entire family can eat and is made using a “recipe” from the Bible. “Take also unto thee wheat, and barley, and beans, and lentils, and millet, and spelt, and put them in one vessel, and make bread of it” (Ezekiel 4:9). 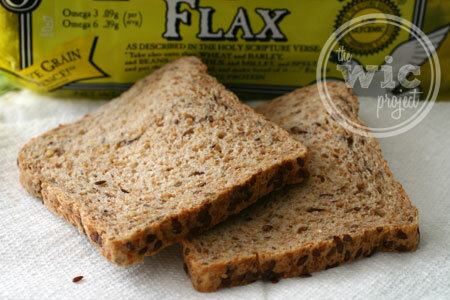 This was my first time eating Flax bread. I’ll admit to asking some people if they’d tried it before and was impressed by the testimonies I heard. 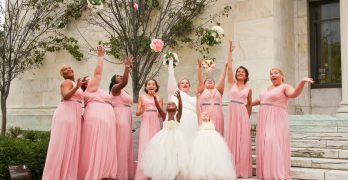 They even said their kids were loving Ezekial Flax bread, which I think speaks highly of the flavor and quality of the bread. 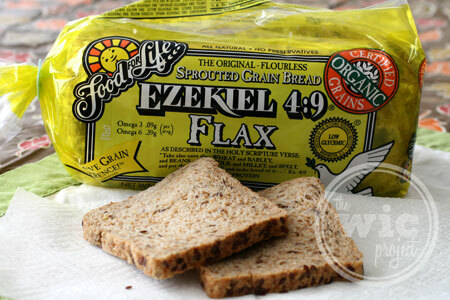 Ezekiel 4:9 Sprouted Flax Bread reminds me of a very hearty whole wheat bread. Not only are grains and legumes baked into the bread, but it also has been rolled in flax seeds, giving it a lovely crunch for the crust. All of the organic goodness combined to make a delicious, almost nutty flavored bread that would be great for breakfast toast or sandwiches. I also really enjoyed the texture of the bread with the grains and legumes providing a firmer, more wholesome bread. As the name of the bread and the scripture suggest, Food for Life Ezekiel 4:9 Sprouted Flax Bread is made of wholesome organic grains and legumes. Everything combines to create a bread that is both healthy, with essential amino acids, Omegas 3 and 6, and plenty of protein and fiber, and is something everyone in the family will enjoy. If you’d like to give Food for Life’s Ezekiel 4:9® Sprouted Flax Bread a try, you can find it at natural food stores nationwide. 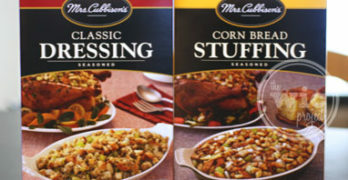 If you don’t see it in the bread section, check out the frozen section, where it is often kept to ensure freshness. When you get the bread home, store it in the refrigerator of freezer to help it last longer. If you’d like a chance to win free product coupons and a fun Food for Life t-shirt or apron, head over to the Food For Life Facebook page and enter to win their Fall Freebie Friday Sweepstakes! A new winner will be chosen every Friday, through November 16th, 2012, so you have lots of chances to win. Leave a comment if you’re one of the lucky winners! Made with the same freshly-sprouted, certified organic live grains as found in the Holy Scripture verse, the new Ezekiel 4:9® Sprouted Flax Bread showcases an abundance of sprouted flax seeds throughout. Providing an excellent source of Omega 3 and 6 essential fatty acids (EFAs), the “good” fats that are vital to our health and body function, the new spin on their classic loaf is a powerhouse of nutrition—truly “bread” to perfection. Thank you for this post, I never heard of this company before, I love learning about new companies. I’ve always wanted to try this bread. I love how hearty it looks! I’ve heard about this bread, and I’ve been looking for it in our stores, but sadly to no luck! This is definitely a bread that my health nut husband would LOVE. I wish i could find it. I have seen this bread in stores and have always been scared to try it. I will have to pick it up the next time I go grocery shopping! I am a huge fan of Ezekiel bread, but I have a hard time finding it! I have never had Ezekiel bread. It sounds like it will be great to try. I’ve never had Ezekial Bread before. But I love a hearty type of bread. Thanks for the review. 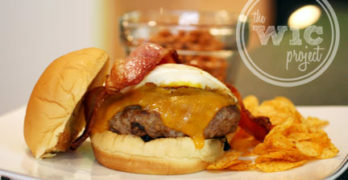 It’s on my list to try.